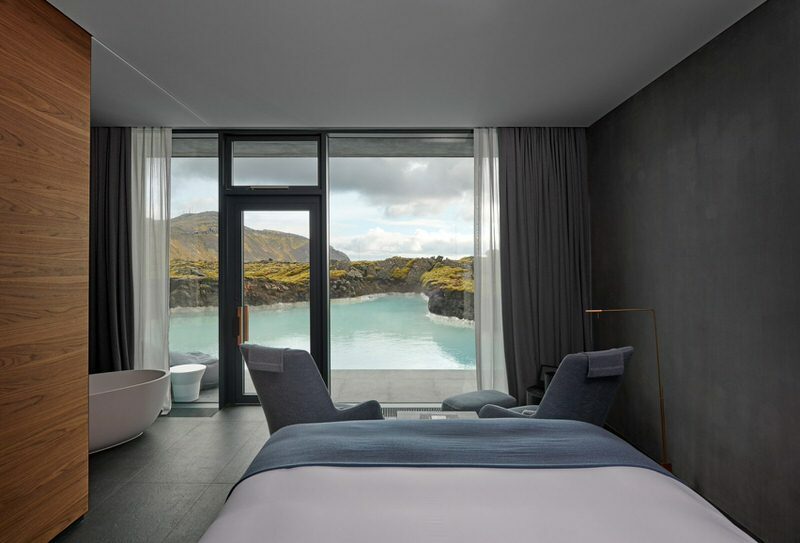 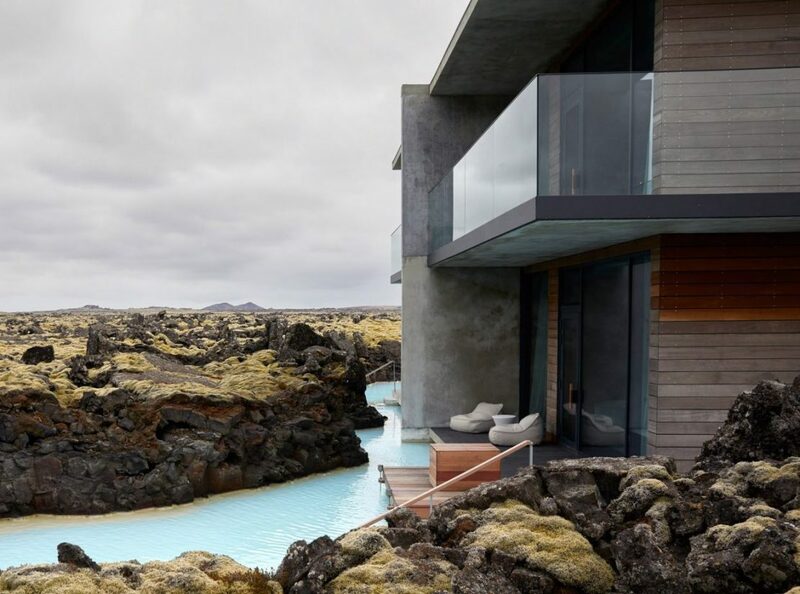 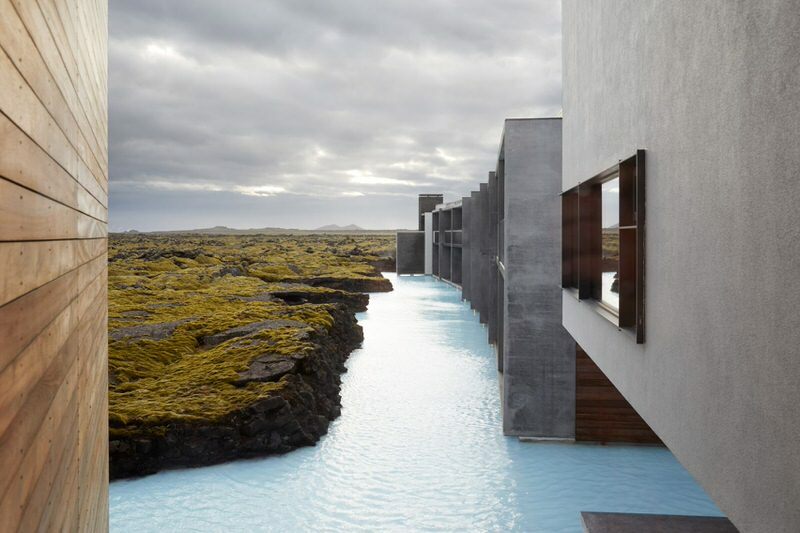 The Retreat at Blue Lagoon is a high-end hotel created by the Icelandic studio Basalt Architects, with Sigríður Sigþórsdóttir as lead designer. 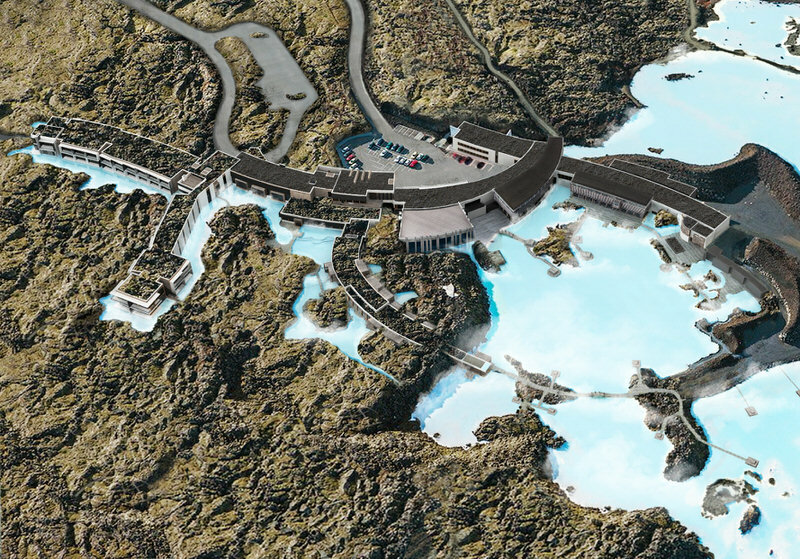 The site is surrounded by the UNESCO Global Geopark, a unique landscape of warm geothermal waters, planes of dark basaltic lava formations, and the mosses that have colonised them. 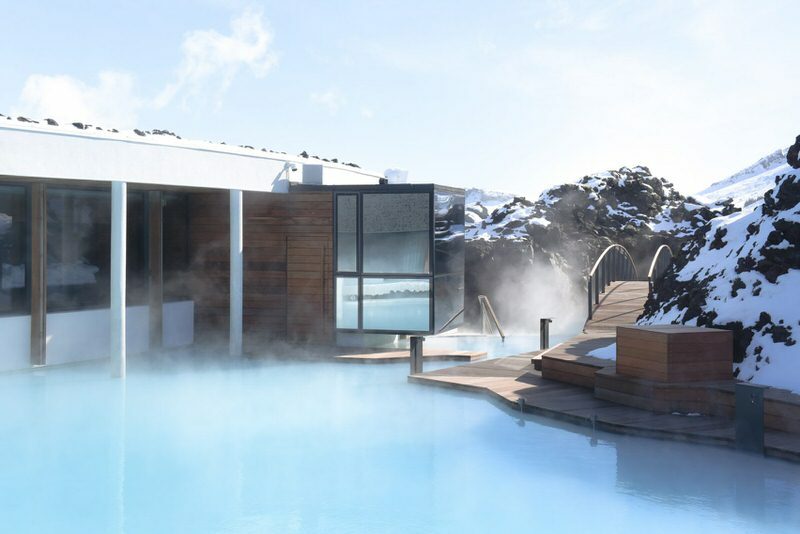 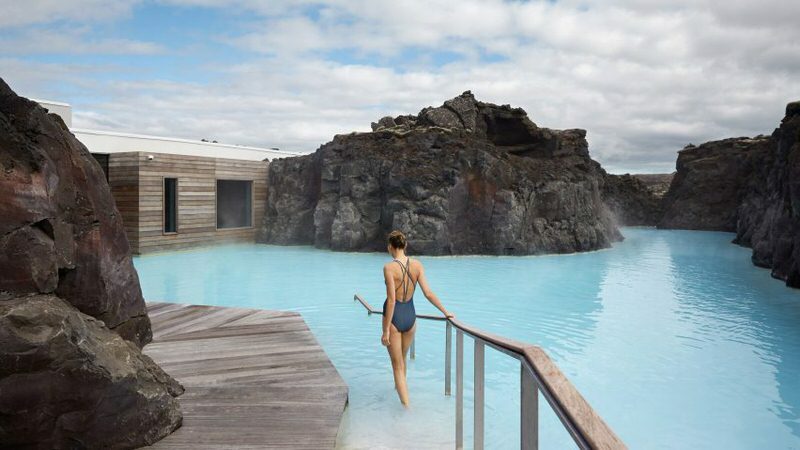 The geothermal waters that surround the Blue Lagoon are sought after for their health properties, with an usually high concentration of minerals such as silica and sulphur found in its translucently turquoise pools. 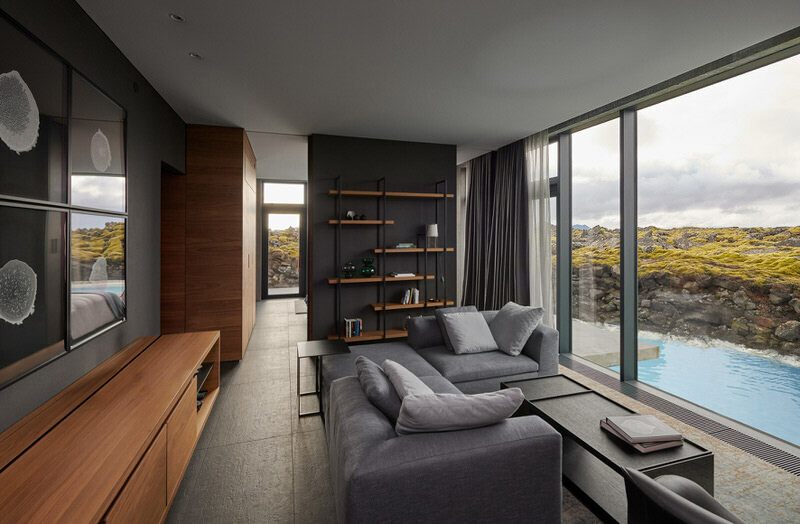 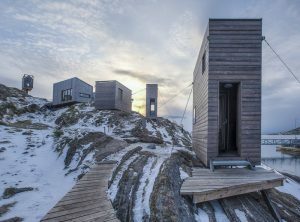 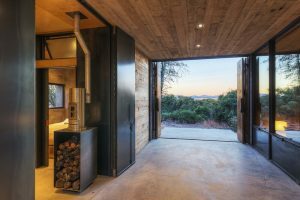 The Retreat at Blue Lagoon features a stark material palette of silvered timber and concrete walls which have been tinted dark grey to match the basaltic geology. 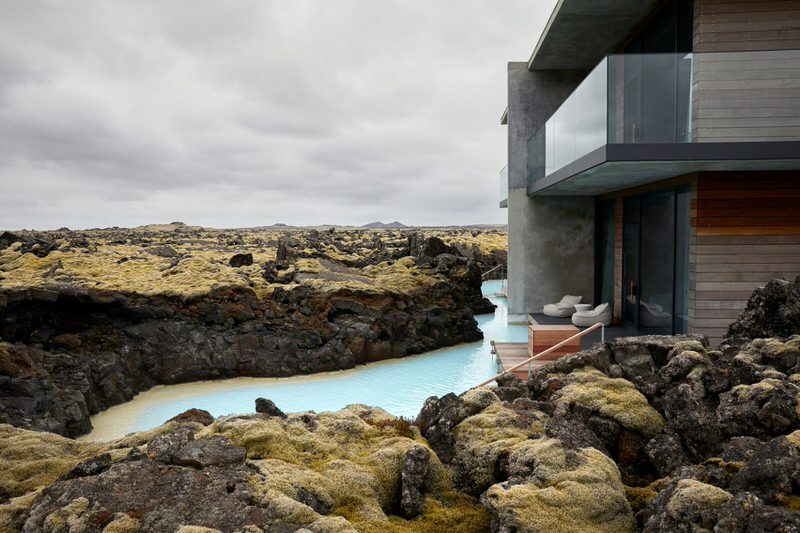 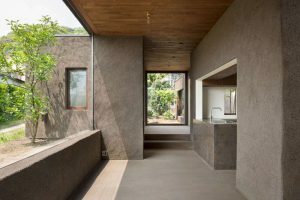 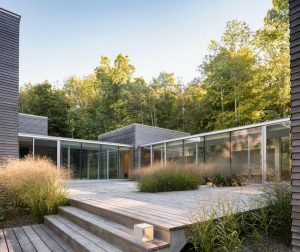 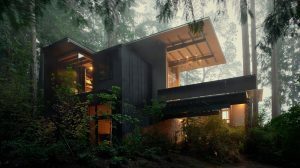 The building is low profile so that in places the structure barely juts above the surrounding rocky landscape. 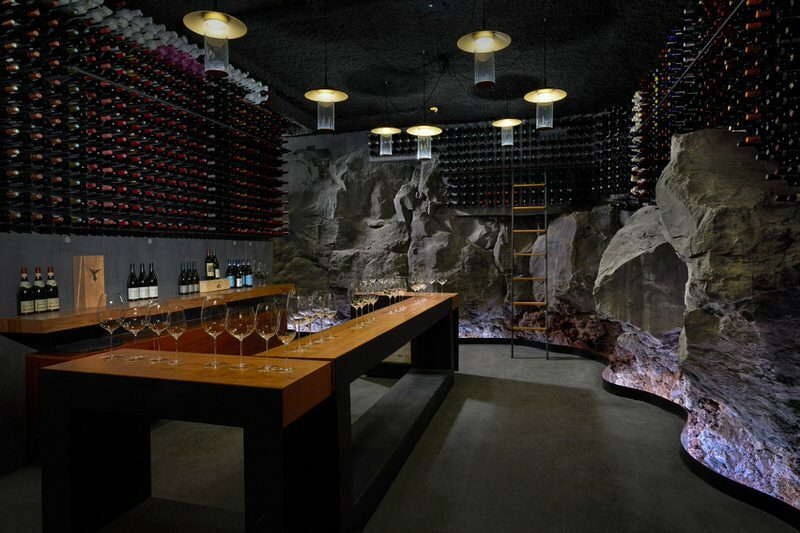 Where possible, the existing basalt rock has been left in situ and has been sculpted to form interior walls, such as in the remarkable wine cellar pictured below. 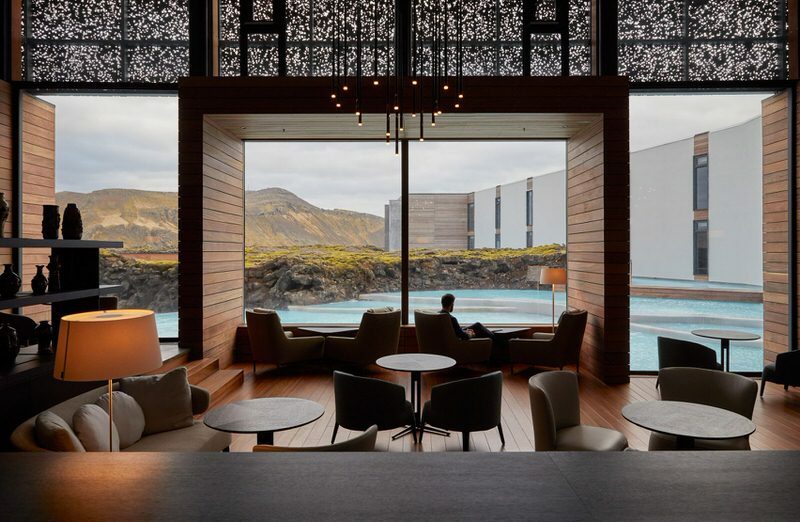 Originally the site at Svartsengi near Grindavík was simply the Blue Lagoon Spa, but it has been expanded over recent years to include the Lava Restaurant, Silica Hotel and most recently in 2017, the Retreat at Blue Lagoon by Basalt Architects pictured here.